I though for sure I may be able to find this on one of my old po's or price sheets... No luck either. 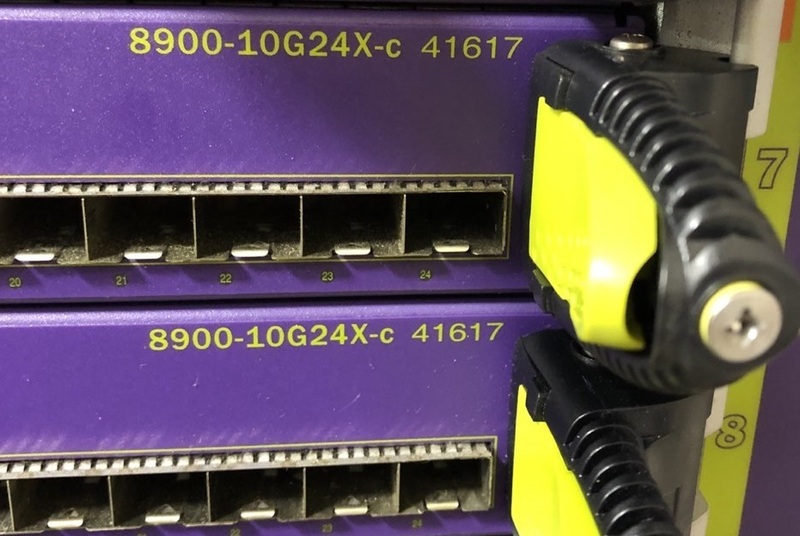 They did make two models of the 24 c for the 8900 ... one that was an over-subscribed sfp + so 24 1 0r 10 gig interfaces vs the other which was plan 24 one gig sfp ports... I had a sheet that showed the 41632 being replaced by 41632b but nothing on the one you have there. Does the msm see it ok and set it up as a 24 port sfp+ module? I dug through po's too never bought any of these because we were afraid of over subscribing the blade and we went with the xl cards instead .. I'm having trouble finding any record of p/n 41617 being sold. It's listed as a preliminary part number. Those may be very early serial number units that had an overlay printing error, but I can't find record of that potential change either. Can you message me their serial numbers please? Regarding the 41632/B change, it looks like a new part number was needed to show the hardware's support of Priority Flow Control.